The tubing connectors consist of blue-dyed, glass-fibre reinforced, thermoplastic polyester (PBT). 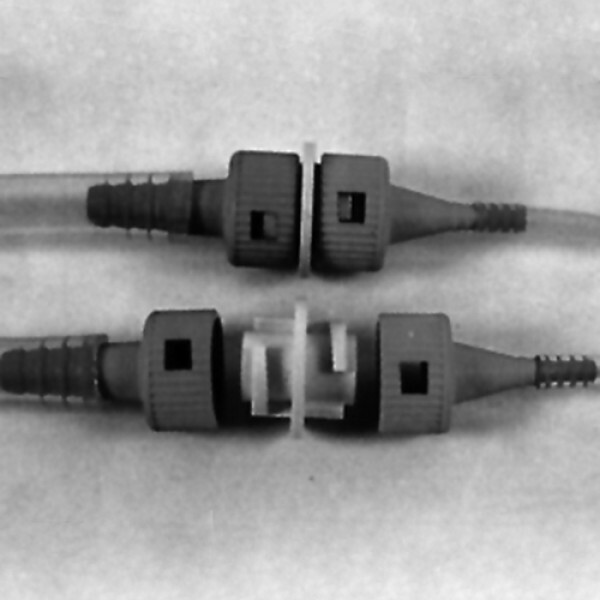 The tubing connectors are autoclavable. They are used at temperatures up to max. +180 °C. 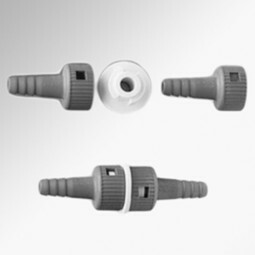 Each adapter tubing connector consists of two hose nozzle adapters and an adapter coupling. 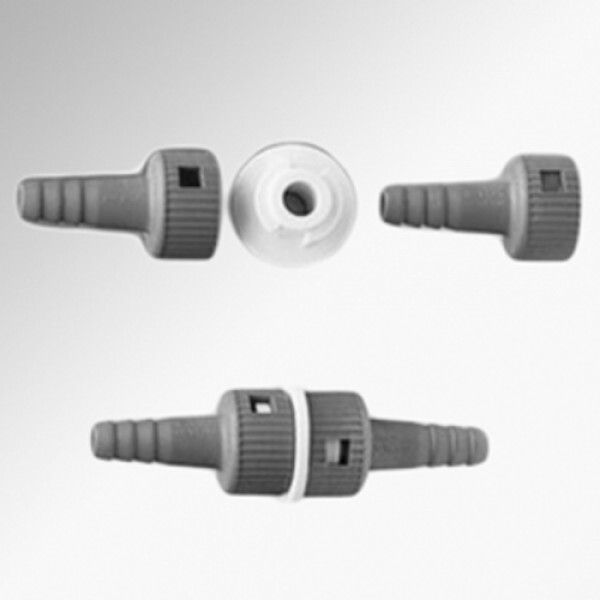 The connection of the two hose nozzles by the adapter coupling ensures absolute tightness.